On this Sunday, I’d like to thank you for a gift you gave me thirty-five years ago. I wanted to attend this amazing live music event, but didn’t have a ticket. You, despite not liking crowds or concerts, said we should go. Right then! So you drove us in your “Blue Goose” from West LA to Pasadena, where 85,000 people had converged on the Rose Bowl. It took us a while to find a parking space and then we walked and walked and walked. Well, meandered was more like it seeing as you had your camera and were being meticulous about noting f-stops and shutter speed for each photo you took along the way. 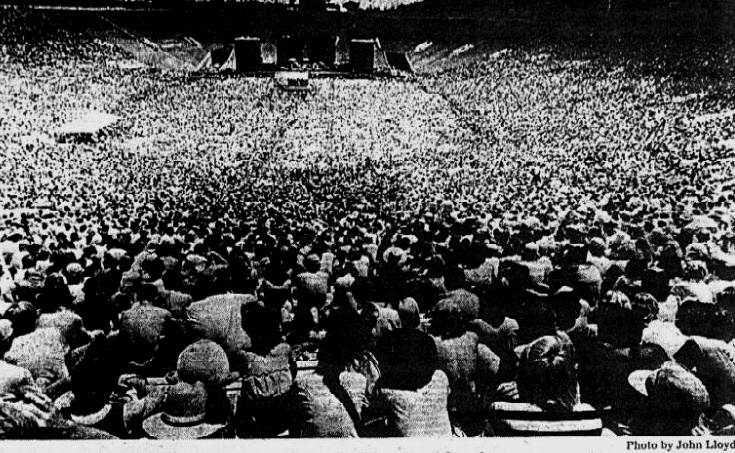 When we finally reached the Rose Bowl, the concert had started and, of course, there were no tickets available. We needed a hand-stamp to get in. There was a chain-link fence near the entrance and some guys standing nearby had our answer: they licked the stamps on the back of their hands and then pressed them against the backs of our hands. It worked! We had our own hand-stamps and were officially part of Peace Sunday! Many details of that day are hazy (cough, cough), but I believe our seats were to the side and slightly behind the stage. Wherever we were, we couldn’t see the stage. And the sound was pretty crappy right there. But we’d made it! We were part of the Peace Sunday experience. 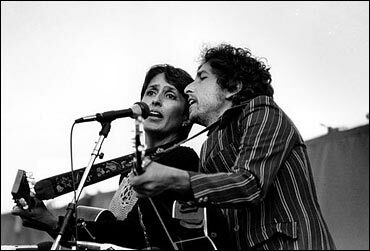 I do remember when Joan Baez brought out Bob Dylan. It gave me chills, knowing two of my very favorite singer-songwriters were so close. It was rather surreal, hearing them sing from a stage we couldn’t see. Joan and Bob’s performances weren’t great, but because of you, I was there! 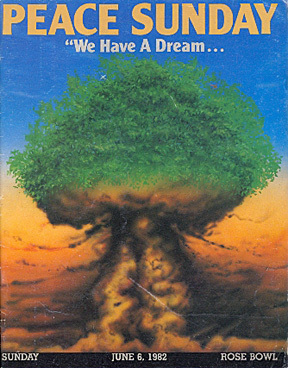 Because of you, I was able to join a swath of humanity that’d come together for an incredible day of music and to say NO NUKES! It was an unforgettable gift. I hope you also have fond memories of Peace Sunday. Thank you again for being my generous and funny big sister who gave me a very special day.